Subrahmanyan Chandrasekhar, FRS (; October 19, 1910 – August 21, 1995), was an Indian American astrophysicist born in Lahore, Punjab. 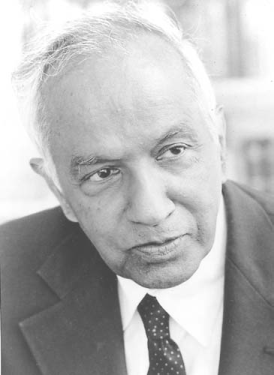 Chandrasekhar was awarded, along with William A. Fowler, the 1983 Nobel Prize for Physics, with Chandrasekhar cited for his mathematical theory of the physical processes of importance to the structure and evolution of the stars. This work led to the currently accepted theory on the later evolutionary stages of massive stars, including black holes. The Chandrasekhar limit is named after him. Chandrasekhar - in distinct periods - worked in various areas, including stellar structure, theory of white dwarfs, stellar dynamics, theory of radiative transfer, quantum theory of the hydrogen anion, hydrodynamic and hydromagnetic stability, equilibrium and the stability of ellipsoidal figures of equilibrium, general relativity, mathematical theory of black holes and theory of colliding gravitational waves. At the University of Cambridge, he developed a theoretical model explaining the structure of white dwarf stars that took into account the relativistic variation of mass with the velocities of electrons that comprise their degenerate matter. He showed that the mass of a white dwarf could not exceed 1.44 times that of the Sun – the Chandrasekhar limit. Chandrasekhar revised the models of stellar dynamics originated by Jan Oort and others by considering the effects of fluctuating gravitational fields within the Milky Way on stars rotating about the galactic centre. His solution to this complex dynamical problem involved a set of twenty partial differential equations, describing a new quantity he termed ‘dynamical friction’, which has the dual effects of decelerating the star and helping to stabilize clusters of stars. Chandrasekhar extended this analysis to the interstellar medium, showing that clouds of galactic gas and dust are distributed very unevenly. Chandrasekhar studied at Presidency College, Madras (now Chennai) and University of Cambridge. He spent most of his career at the University of Chicago, spending some time in its Yerkes Observatory, and serving as editor of The Astrophysical Journal from 1952 to 1971. He served on the University of Chicago faculty from 1937 until his death in 1995 at the age of 84. Chandrasekhar married Lalitha Doraiswamy in September 1936. He had met her as a fellow student at Presidency College, Madras. Chandrasekhar was the nephew of Sir Chandrasekhara Venkata Raman, who was awarded the Nobel Prize for Physics in 1930. He became a naturalized citizen of the United States in 1953. Chandrasekhar was born on 19 October 1910 in Lahore, Punjab, India in a Tamil family, to Sitalakshmi (1891–1931) and Chandrasekhara Subrahmanya (1885–1960) who was posted in Lahore as Deputy Auditor General of the Northwestern Railways at the time of Chandrasekhar's birth. He was the eldest of their four sons and the third of their ten children. His paternal uncle was the Indian physicist and Nobel laureate C. V. Raman. His mother was devoted to intellectual pursuits, had translated Henrik Ibsen's A Doll's House into Tamil and is credited with arousing Chandra's intellectual curiosity at an early age. Chandrasekhar was tutored at home initially through middle school and later attended the Hindu High School, Triplicane, Madras during the years 1922–25. Subsequently, he studied at Presidency College, Madras from 1925 to 1930, writing his first paper, "The Compton Scattering and the New Statistics", in 1929 upon inspiration from a lecture by Arnold Sommerfeld and obtaining his bachelor's degree, B.Sc. (Hon. ), in physics in June 1930. In July 1930, Chandrasekhar was awarded a Government of India scholarship to pursue graduate studies at the University of Cambridge, where he was admitted to Trinity College, secured by Professor R. H. Fowler with whom he communicated his first paper. During his travels to England, Chandrasekhar spent his time working out the statistical mechanics of the degenerate electron gas in white dwarf stars, providing relativistic corrections to Fowler's previous work (see Legacy below). In his first year at Cambridge, as a research student of Fowler, Chandrasekhar spent his time calculating mean opacities and applying his results to the construction of an improved model for the limiting mass of the degenerate star. At the meetings of the Royal Astronomical Society, he met Professor E. A. Milne. At the invitation of Max Born he spent the summer of 1931, his second year of post-graduate studies, at Born’s institute at Göttingen, working on opacities, atomic absorption coefficients, and model stellar photospheres. On the advice of Prof. P. A. M. Dirac, he spent his final year of graduate studies at the Institute for Theoretical Physics in Copenhagen, where he met Prof. Niels Bohr. After receiving a bronze medal for his work on degenerate stars, in the summer of 1933, Chandrasekhar was awarded his PhD degree at Cambridge with a thesis among his four papers on rotating self-gravitating polytropes, and the following October, he was elected to a Prize Fellowship at Trinity College for the period 1933–1937. During this time, Chandrasekhar made acquaintance with British physicist Sir Arthur Eddington. In an infamous encounter in 1935, Eddington publicly ridiculed the concept of the Chandrasekhar limit. Although Eddington would later be proved wrong, this encounter caused Chandra to contemplate employment outside the UK. Later in life, on multiple occasions, Chandra expressed the view that Eddington's behavior was in part racially motivated. In January 1937, Chandrasekhar was recruited to the University of Chicago faculty as Assistant Professor by Dr. Otto Struve and President Robert Maynard Hutchins. He was to remain at the university for his entire career, becoming Morton D. Hull Distinguished Service Professor of Theoretical Astrophysics in 1952 and attaining emeritus status in 1985. Famously, Chandrasekhar declined many offers from other universities, including one to succeed Henry Norris Russell, the preeminent American astronomer, as director of the Princeton University Observatory. Chandrasekhar did some work at Yerkes Observatory in Williams Bay, Wisconsin, which was run by the University of Chicago. After the Laboratory for Astrophysics and Space Research (LASR) was built by NASA in 1966 at the University, Chandrasekhar occupied one of the four corner offices on the second floor. (The other corners housed John A. Simpson, Peter Meyer, and Eugene N. Parker.) Chandrasekhar lived at 4800 Lake Shore Drive after the high-rise apartment complex was built in the late 1960s, and later at 5550 Dorchester Building. During World War II, Chandrasekhar worked at the Ballistic Research Laboratories at the Aberdeen Proving Ground in Maryland. While there, he worked on problems of ballistics; for example, two reports from 1943 were titled, On the decay of plane shock waves and The normal reflection of a blast wave. Chandrasekhar's expertise in hydrodynamics led Robert Oppenheimer to invite him to join the Manhattan Project at Los Alamos, but delays in the processing of his security clearance prevented him from contributing to the project. It has been rumored however that he was called to discuss and visit the Calutron project and was the individual responsible for suggesting that young women be used to operate the calutrons as they would do so more efficiently than the male scientists assigned to the task. Chandraskhar had used top performing female high school students from Williams Bay, Lake Geneva, Elkhorn and Burlington, Wisconsin to calculate immensely difficult mathematical equations entirely by long hand, and found that their abilities and vigilance were unparalleled. He then applied this first-hand knowledge with the talents of local "hillbilly high school girls" to speed up the slow-moving centrifugal Calutron project. This in turn allowed the enriched radioactive materials to be completed on time, in order to fashion the atomic weapons ultimately used to end the war. Without these raw materials, developed at the Y-12 National Security Complex these weapons never would have been tested or dropped on Japan. He wrote that his scientific research was motivated by his desire to participate in the progress of different subjects in science to the best of his ability, and that the prime motive underlying his work was systematization. "What a scientist tries to do essentially is to select a certain domain, a certain aspect, or a certain detail, and see if that takes its appropriate place in a general scheme which has form and coherence; and, if not, to seek further information which would help him to do that." Chandrasekhar developed a unique style of mastering several fields of physics and astrophysics; consequently, his working life can be divided into distinct periods. He would exhaustively study a specific area, publish several papers in it and then write a book summarizing the major concepts in the field. He would then move on to another field for the next decade and repeat the pattern. Thus he studied stellar structure, including the theory of white dwarfs, during the years 1929 to 1939, and subsequently focused on stellar dynamics from 1939 to 1943. Next, he concentrated on the theory of radiative transfer and the quantum theory of the negative ion of hydrogen from 1943 to 1950. This was followed by sustained work on hydrodynamic and hydromagnetic stability from 1950 to 1961. In the 1960s, he studied the equilibrium and the stability of ellipsoidal figures of equilibrium, and also general relativity. During the period, 1971 to 1983 he studied the mathematical theory of black holes, and, finally, during the late 80s, he worked on the theory of colliding gravitational waves. Chandra worked closely with his students and expressed pride in the fact that over a 50-year period (from roughly 1930 to 1980), the average age of his co-author collaborators had remained the same, at around 30. He insisted that students address him as "Chandrasekhar" until they received their Ph.D. degree, after which time they (as other colleagues) were encouraged to address him as "Chandra". From 1952 to 1971 Chandrasekhar was editor of The Astrophysical Journal. During the years 1990 to 1995, Chandrasekhar worked on a project devoted to explaining the detailed geometric arguments in Sir Isaac Newton's Philosophiae Naturalis Principia Mathematica using the language and methods of ordinary calculus. The effort resulted in the book Newton's Principia for the Common Reader, published in 1995. Chandrasekhar was an honorary member of the International Academy of Science. Chandrasekhar died of a sudden heart attack at the University of Chicago Hospital in 1995, and was survived by his wife, Lalitha Chandrasekhar, who died on September 2, 2013 at the age of 102. In the Biographical Memoirs of the Fellows of the Royal Society of London, R. J. Tayler wrote: "Chandrasekhar was a classical applied mathematician whose research was primarily applied in astronomy and whose like will probably never be seen again." Once when involved in a discussion about the Gita, Chandrashekhar said, "I should like to preface my remarks with a personal statement in order that my later remarks will not be misunderstood. I consider myself an atheist." This was also confirmed many times in his other talks. In an interview with Kevin Krisciunas at the University of Chicago, on October 6, 1987, Chandrasekhar commented: "Of course, he (Otto Struve) knew I was an atheist, and he never brought up the subject with me". Professor Chandrasekhar was awarded the Nobel Prize in Physics in 1983 for his studies on the physical processes important to the structure and evolution of stars. Chandrasekhar accepted this honor, but was upset the citation mentioned only his earliest work, seeing it as a denigration of a lifetime's achievement. He shared it with William A. Fowler. Chandrasekhar's most notable work was the astrophysical Chandrasekhar limit. The limit describes the maximum mass of a white dwarf star, ~1.44 solar masses, or equivalently, the minimum mass which must be exceeded for a star to ultimately collapse into a neutron star or black hole (following a supernova). The limit was first calculated by Chandrasekhar in 1930 during his maiden voyage from India to Cambridge, England for his graduate studies. In 1999, NASA named the third of its four "Great Observatories" after Chandrasekhar. This followed a naming contest which attracted 6,000 entries from fifty states and sixty-one countries. The Chandra X-ray Observatory was launched and deployed by Space Shuttle Columbia on July 23, 1999. The Chandrasekhar number, an important dimensionless number of magnetohydrodynamics, is named after him. The asteroid 1958 Chandra is also named after Chandrasekhar. American astronomer Carl Sagan, who studied Mathematics under Chandrasekhar, at the University of Chicago, praised him in the book The Demon-Haunted World: "I discovered what true mathematical elegance is from Subrahmanyan Chandrasekhar." Chandrasekhar guided 50 students to their PhDs. An exhibition on life and works of Subrahmanyan Chandrasekhar was held at Science City, Kolkata, on January, 2011. ^ Chandrasekhar, S. 1983. 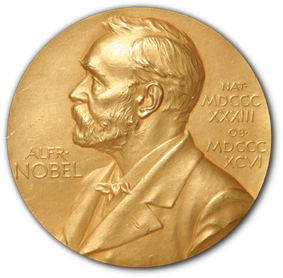 Autobiography Nobel Foundation, Stockholm, Sweden. ^ The Works of the Mind, p.176, edited by Robert B. Heywood, University of Chicago Press, 1947.